Panadol extra products contain the painkiller paracetamol in combination with caffeine - read on for advice on their use, warnings and side effects. What is Panadol extra used for? Mild to moderate pain, such as headache, migraine, toothache, sore throat, muscular and rheumatic pain, nerve pain (neuralgia), backache (lumbago) and period pain. Relieving aches, pains, sore throat and fever associated with colds and flu. Panadol extra soluble tablets and Panadol extra advance tablets contain two active ingredients, paracetamol (500mg) and caffeine (65mg). Paracetamol is thought to relieve pain by reducing the production of prostaglandins in the brain and spinal cord. Prostaglandins sensitise nerve endings, causing pain. By reducing their production paracetamol is thought to increase our pain threshold, so that although the cause of the pain remains, we can feel it less. Paracetamol is about as effective as aspirin or ibuprofen at relieving mild to moderate pain and fever, but unlike these it has no anti-inflammatory effect. Panadol extra advance tablets have been specially formulated to allow the paracetamol to be absorbed into the bloodstream faster than standard paracetamol tablets or capsules. Panadol extra soluble tablets are also absorbed faster. How do I take Panadol extra? Adults and adolescents aged 12 years and over should take two tablets up to four times a day as needed. Leave at least four hours between doses. Do not take more than 8 tablets in 24 hours. Panadol extra soluble tablets should be dissolved in a glass of water before taking. What should I know before taking Panadol extra? Do not take Panadol extra with any other products that contain paracetamol. Many over-the-counter painkillers and cold and flu remedies contain paracetamol. 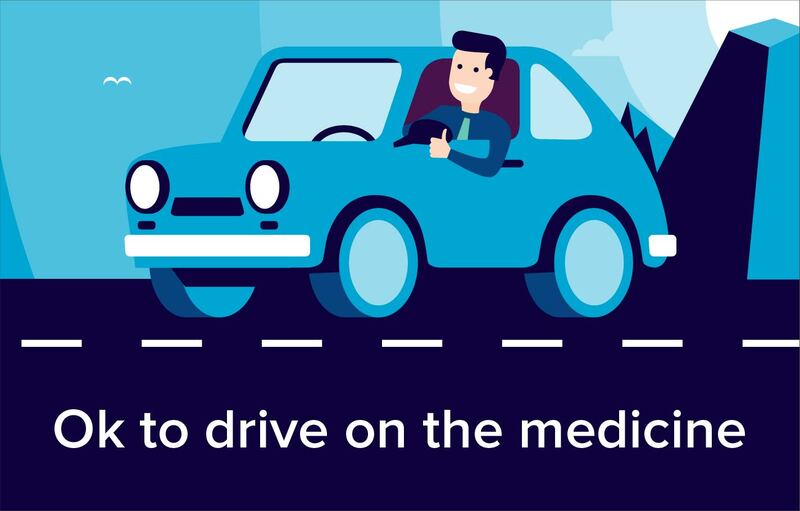 It is important to check the ingredients of any medicines you buy without a prescription before taking them with Panadol extra, or ask your pharmacist. An overdose of paracetamol is dangerous and capable of causing serious damage to the liver and kidneys. You should never exceed the dose stated in the information leaflet supplied with this medicine. Get immediate medical advice in the event of an overdose with Panadol extra, even if you feel well, because of the risk of delayed, serious liver damage. Since Panadol extra contains caffeine, you should avoid drinking lots of caffeine-containing drinks, eg tea, coffee, cola, while you are taking it. Excessive caffeine consumption can cause insomnia, restlessness, anxiety, irritability, headaches and palpitations. Consult your doctor if your headaches become persistent. Taking a painkiller for headaches or migraine too often or for too long can actually make them worse. Who should not take Panadol extra? Panadol extra soluble tablets contain sorbitol and are not suitable for people with a rare hereditary intolerance to fructose. Panadol extra soluble tablets contain sodium (854mg sodium per two tablet dose). As such, they are not suitable for people on a low sodium diet. Ask your doctor or pharmacist for advice if this applies to you. Panadol extra should not be used if you are allergic to any of its ingredients. If you feel you have experienced an allergic reaction, stop using Panadol extra and inform your doctor or pharmacist immediately. Who should get medical advice before taking Panadol extra? Can I take Panadol extra while pregnant or breastfeeding? There are no known harmful effects when paracetamol is used during pregnancy. However, caffeine consumption should be limited in pregnancy. You should get advice from your doctor or pharmacist before taking Panadol extra if you are pregnant. Although paracetamol is considered safe for use during breastfeeding, caffeine passes into breast milk and can cause irritability and poor sleeping pattern in a nursing baby. For this reason, Panadol extra is best avoided by mothers who are breastfeeding. Ask your doctor or pharmacist for further advice. What are the possible side effects of Panadol extra? Medicines and their possible side effects can affect individual people in different ways. The following are some of the side effects that are known to be associated with Panadol extra. Just because a side effect is stated here does not mean that all people using this medicine will experience that or any side effect. If you want any more information about the possible side effects of Panadol extra read the leaflet provided with the medicine or talk to your doctor or pharmacist. Can I take Panadol extra with other medicines? Don't take other medicines that contain paracetamol in combination with Panadol extra, as this can easily result in exceeding the maximum recommended daily dose of paracetamol. Many cold and flu remedies and other painkillers contain paracetamol so be sure to check the ingredients of any other medicines before taking them in combination with Panadol extra, or ask your pharmacist for advice. It is fine to take Panadol extra in combination with ibuprofen or aspirin (assuming these are appropriate for you). However, don't take it with co-codamol, co-dydramol or Tramacet because these contain paracetamol.If you take paracetamol in the hour before or the six hours after taking colestyramine, the paracetamol is likely to be less effective. This is because colestyramine reduces the absorption of paracetamol from the gut. The antidiabetic medicines exenatide, lixisenatide and liraglutide may slow down the absorption of paracetamol into the bloodstream, so it might take longer to work if you are using one of these medicines to treat your diabetes. Ask your pharmacist for more advice. Metoclopramide and domperidone may speed up the absorption of paracetamol from the gut. If you are taking an anticoagulant medicine such as warfarin it is fine to take occasional doses of paracetamol to relieve pain or fever. However, long-term or regular use of paracetamol may potentially increase the anti-blood-clotting effect of warfarin, leading to an increased risk of bleeding. You can get more advice about this from your doctor or pharmacist. If you are having treatment with the anti-cancer medicines busulfan or imatinib you should not take paracetamol without first checking with your doctor or pharmacist.